Wed., 30 Oct. - Thu., 31 Oct.
Fri., 25 Oct. - Thu., 31 Oct. Sun., 27 Oct. - Tue., 29 Oct. Tue., 29 Oct. - Sun., 3 Nov. Sun., 5 May - Fri., 7 Jun. 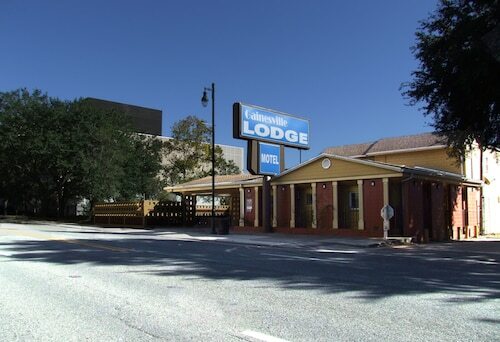 Located in the heart of Gainesville, this hotel is within 2 mi (3 km) of Hippodrome State Theatre, University of Florida, and Ben Hill Griffin Stadium (The Swamp). Shands at the University of Florida is 1.7 mi (2.8 km) away. 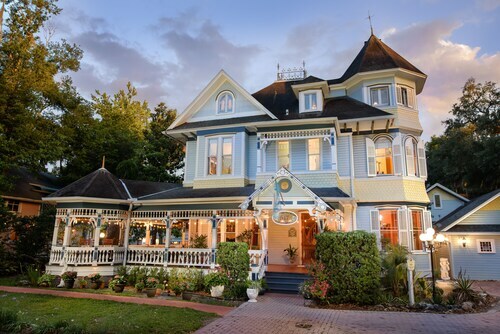 Located in the heart of Gainesville, this bed & breakfast is 0.1 mi (0.2 km) from Matheson Museum and within 3 mi (5 km) of University of Florida and Ben Hill Griffin Stadium (The Swamp). Shands at the University of Florida is 2.1 mi (3.4 km) away. Situated in Gainesville, this apartment building is 0.3 mi (0.5 km) from Matheson Museum and within 3 mi (5 km) of University of Florida and Ben Hill Griffin Stadium (The Swamp). Shands at the University of Florida is 2.1 mi (3.4 km) away. 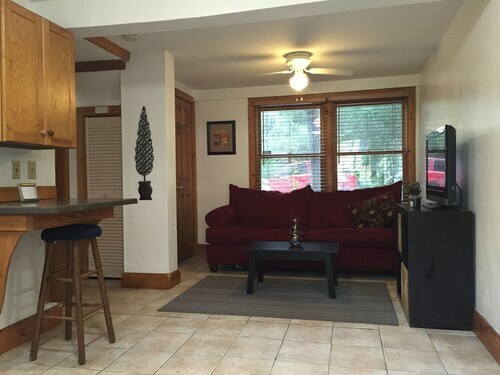 Situated in Gainesville, this condo building is within 3 mi (5 km) of Thomas Center, University of Florida, and Ben Hill Griffin Stadium (The Swamp). Shands at the University of Florida is 2.5 mi (4.1 km) away. 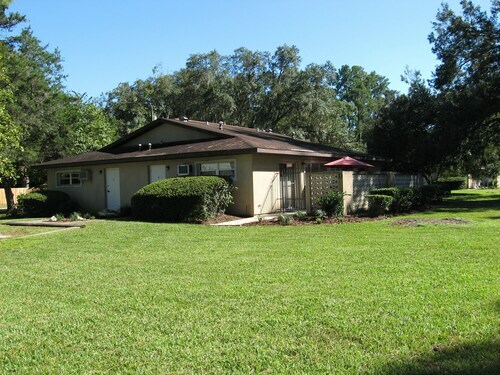 Situated in Gainesville, this property is within 3 mi (5 km) of Thomas Center, University of Florida, and Ben Hill Griffin Stadium (The Swamp). Shands at the University of Florida is 2.5 mi (4.1 km) away. 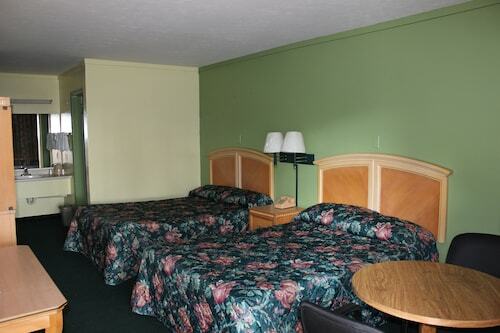 Situated in Gainesville, this motel is within 3 mi (5 km) of Ben Hill Griffin Stadium (The Swamp), University of Florida, and Shands at the University of Florida. Thomas Center and Hippodrome State Theatre are also within 3 mi (5 km). 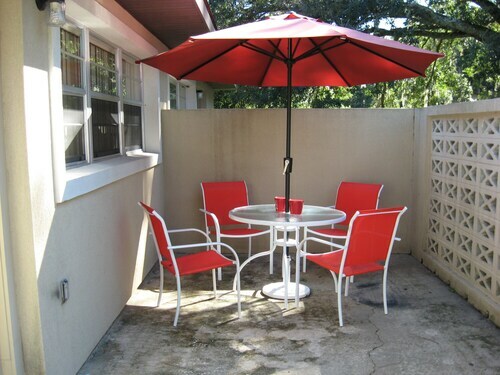 Located in the heart of Gainesville, this property is within 3 mi (5 km) of Thomas Center, University of Florida, and Ben Hill Griffin Stadium (The Swamp). Shands at the University of Florida is 2.5 mi (3.9 km) away. Situated in Gainesville, this motel is within 1 mi (2 km) of Hippodrome State Theatre and Ben Hill Griffin Stadium (The Swamp). University of Florida and Shands at the University of Florida are also within 2 mi (3 km).